As India’s leading matrimonial enterprise, AMS has been offering unparalleled solutions that add a professional touch to wedding alliances. We believe that a marriage is much more than unison of two people. It is bond that begins with coming together of two families and goes on forever. Our MD Aarshi Jain, together with her team of matrimonial experts, has painstakingly designed a collection of services for a delightful marriage. We stand by your side since the time you start looking for a perfect alliance, choosing the best one, meeting the suitors and finally preparing for the big day. Our bouquet of services encloses assistance in matchmaking, client follow up and marketing for a professionally structured client commitment. From seeking the right life partner to formalizing beautiful wedding ceremony, we would guide you through with passion and experience. 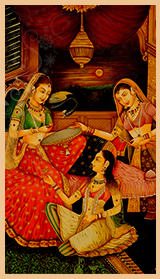 Aarshi’s Matrimonial Solutions provide an all-inclusive approach towards matrimonial rituals that comprise match making, arrangements, meetings, supervision and additional services like consultation from astrologist, patri-matching, creating matrimonial bio data, counselling sessions, pre-wedding photo shoot and wedding photography. JAIN - Shwetambers, Digambers, Khandelwals, Terapanthis, Oswals. 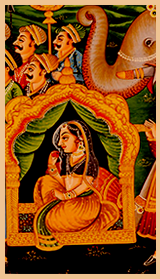 PUNJABI - Khatri & Arora. 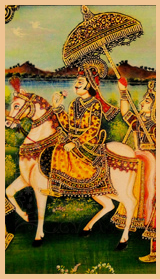 COSMOPOLITIAN - Bhramins, Rajputs, Kayasthas. AMS experts visit the client at their residence/office within Delhi through prior appointment. The cost of the visit outside Delhi/NCR has to be paid by the client. The bio data of the candidate is designed by the assigned AMS RM (Relationship Manager). Once the client approves the presentation of the bio-data, it is added to our AMS database. Suitable profiles are selected depending upon the details and preferences specified by the client to the AMS team. Meetings with the approved profiles are arranged and facilitated by the AMS RMs. The RM provides regular updates about the feedbacks to the clients. Our value added services include patri matching facility by AMS in house astrologer and ONE photo shoot of the candidate by AMS in house photographer within Delhi/NCR at company’s cost. Senior AMS experts visit the client anywhere within India at company’s cost. The experts arrive through prior appointment to develop a complete understanding of the family and the candidate. The bio data of the candidate is designed by the experts and Senior RM (relationship manager). Once the client approves the professional presentation of the bio-data, it is added to the AMS database. During registration process, Ms. Aarshi Jain meets the candidates and their families to share her experience and advice on match searching process in Delhi/NCR. Suitable profiles are selected by the assigned RM depending upon the niceties and preferences specified by the client. The client’s profile is shared and discussed with only the profiles that are approved by the client. Once we receive confirmation from both the sides, our RMs arranges and coordinates the meeting between the two sides. If required, Ms. Aarshi Jain will be present at the meeting. The assigned RM will update the client about the feedback after the meeting and, under the guidance of Ms. Aarshi Jain, will take suitable actions. As per the need, dispatch revision exercises to the AMS office regularly..
Patri matching facility by AMS in house astrologer. TWO Photo-shoot of the candidate by AMS in house photographer within Delhi/NCR at company’s cost. ONE image consultancy session (2 Hrs) by an Image Consultant. A meeting is fixed on the convenience of client and Ms. Aarshi Jain visits the client at their residence/office at company’s cost in India/overseas to develop an insight about the candidate and their families and to understand their complete profile. The bio data of the candidate is designed by the experts and Senior AMS RM (relationship manager). Once the client approves the professional presentation of the bio-data, it is added to the AMS database. Under the guidance and knowledge of Ms. Aarshi Jain, bio-datas will be shortlisted based on the preferences & details specified by the client. We make sure that the particulars of our clients are kept strictly confidential. After receiving confirmation from both the sides, our Sr. RM arranges and coordinates the meeting between the two sides in presence of Ms. Aarshi Jain. After the meetings, Ms. Aarshi Jain updates the client with feedbacks and proper reasoning. If required, she will convince and discuss the matter with the selected parties. The AMS team explores and approaches the families suggested by our clients from their reliable sources to pursue the matter further. We utilize reference and social circle networking to expand our search in order to offer additional matches to our members. We organize dispatch review meetings for our clients within Delhi/NCR to inform them about the proceedings within a couple of months from the date of registration. Once the client approves the profile of selected candidates, we share their necessary details with the other side. Astrology package - Written Astro-advice by AMS in house astrologer and a personal consultancy session with prior appointment only at AMS office. Photo shoot – Up to three photo shoots by AMS in house photographer within Delhi/NCR at company’s cost. Experts recommend additional tips before photo shoot. One Image consultancy session - Conducted Image consultant to advice some tips and to create customized course for exceptional results.